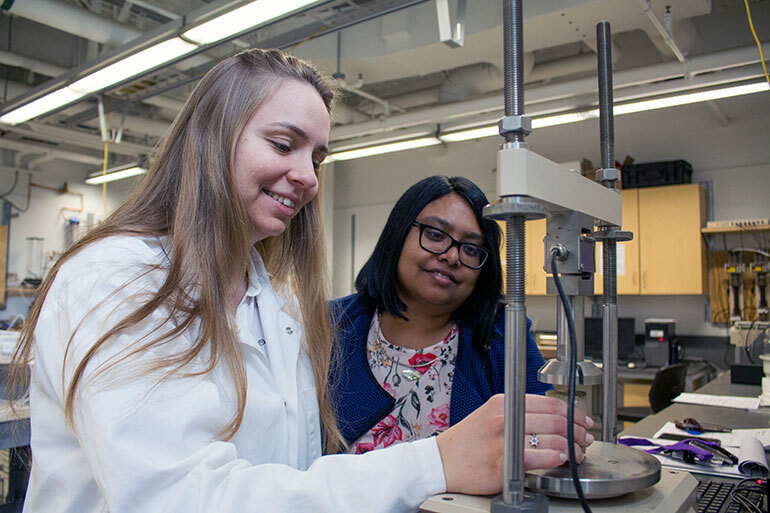 Engineering professor Sumi Siddiqua (right) and graduate student Priscila Barreto (left). Soil can be used in many ways, explains Siddiqui, including rammed earth walls, earth bricks and compressed earth blocks. In 2014, nearly 40 per cent of the world’s population still lived or worked in structures using soil as a construction material. The benefits of using these natural and locally-sourced materials include a reduction in costs and in energy consumption. The rammed earth walls are usually placed between molds and bound by clay. But Siddiqua says while the technique is simple, it has significant structural limitations.